Karl Robinson has called on his defensive unit to be the best in League 1 this season. 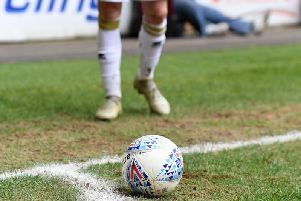 Despite being relegated from the Championship last season, the six defensive players look set to remain untouched going into the new campaign. Robinson believes David Martin, George Baldock, Kyle McFadzean, Joe Walsh, Dean Lewington and Darren Potter will need to be the best players in their positions if they are to remain his first choice, and has called on others to step up their games too. “I expect George Baldock to be the best right back in the league,” Robinson said. “I expect Joe Walsh to be the best left-sided centre half, I expect Darren Potter to be the best number 6, I expect Dave Martin to be the best keeper. I want that back six to be the best in their positions. “I think Samir has the potential to be as good as he wants to be. “But everyone has forgotten, the one we all talk about, in the last year of his contract - Daniel Powell. I’ve got a funny feeling he could have a great year. I know how fit he is.